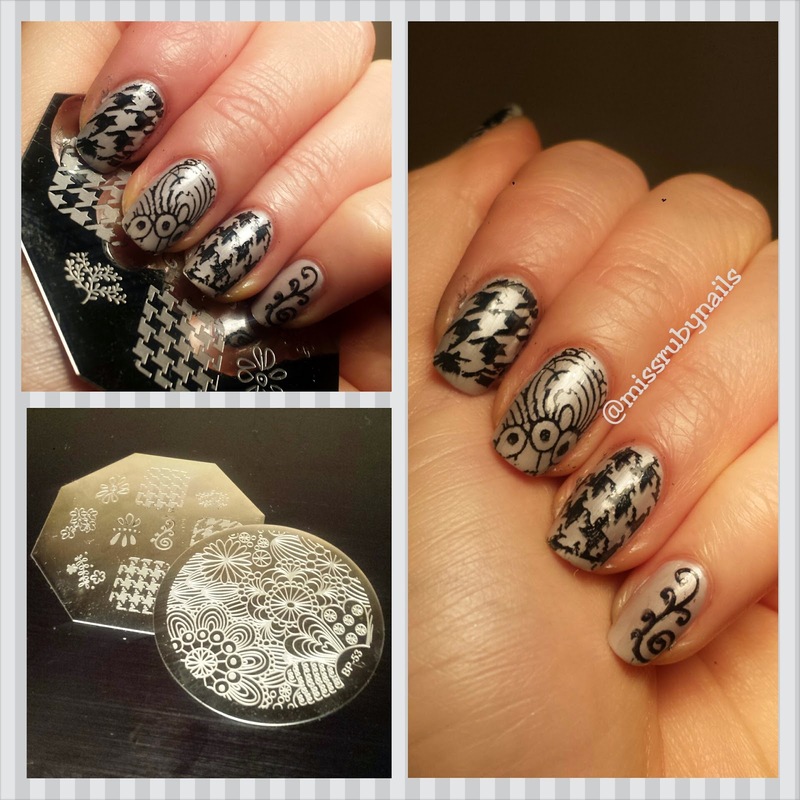 "It's stamping, it's not nailart." I saw this quote somewhere on Instagram and I do NOT agree! 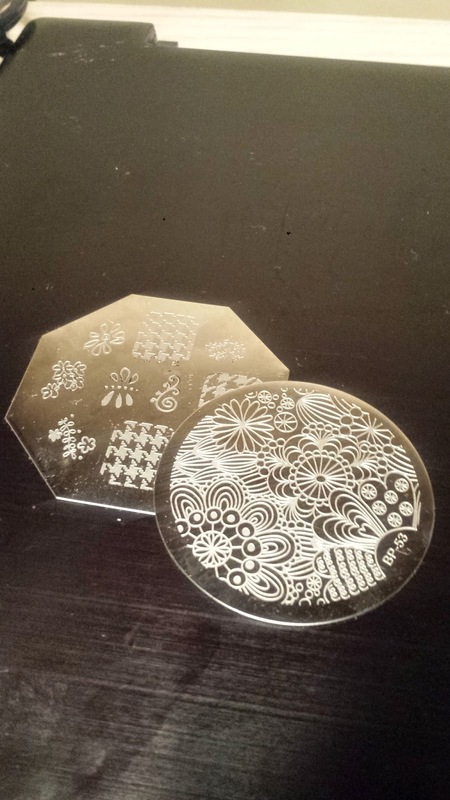 Yes, stamping can be very easy and quick but it does require a lot of practice and the use of right tools. 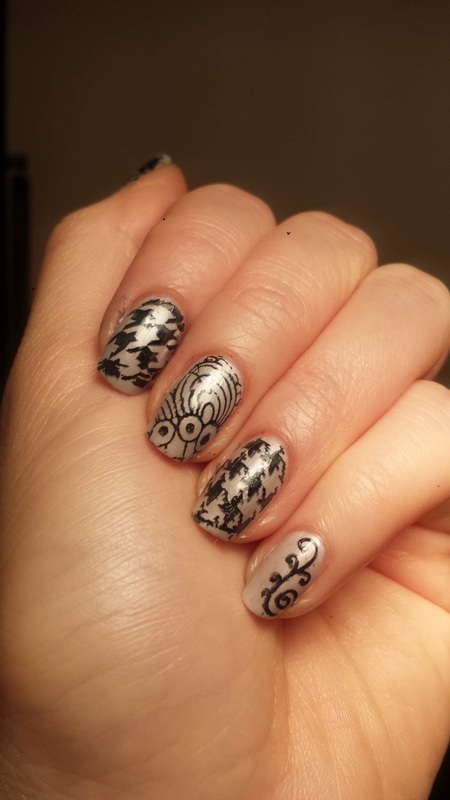 I was testing out my new stamping plates I ordered from eBay for this manicure, therefore every nail has a different patter :P.
Paint the polish on the pattern on the stamping plate. Scrape the polish off the surface with the scraper, polish will still be inside the indent of the pattern. 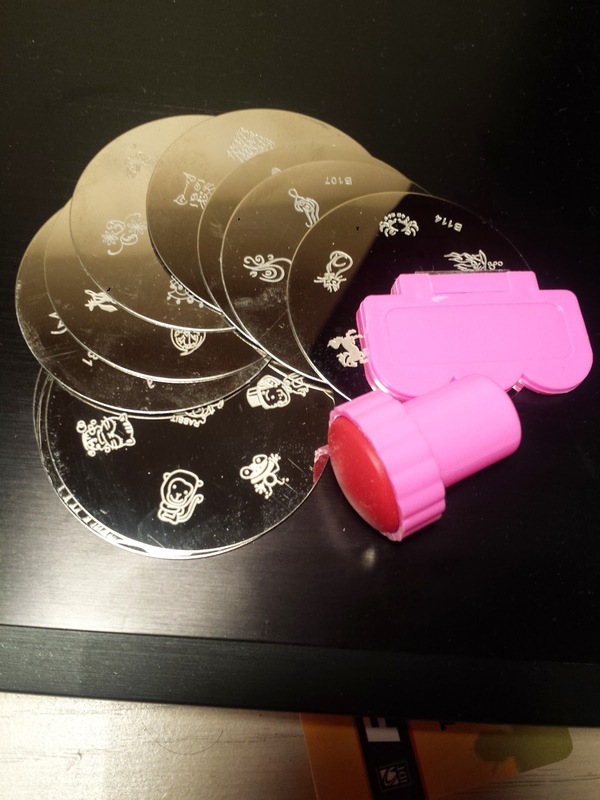 Use the rubber stamp to pickup the polish. Quickly stamp (roll) the pattern onto the nail.